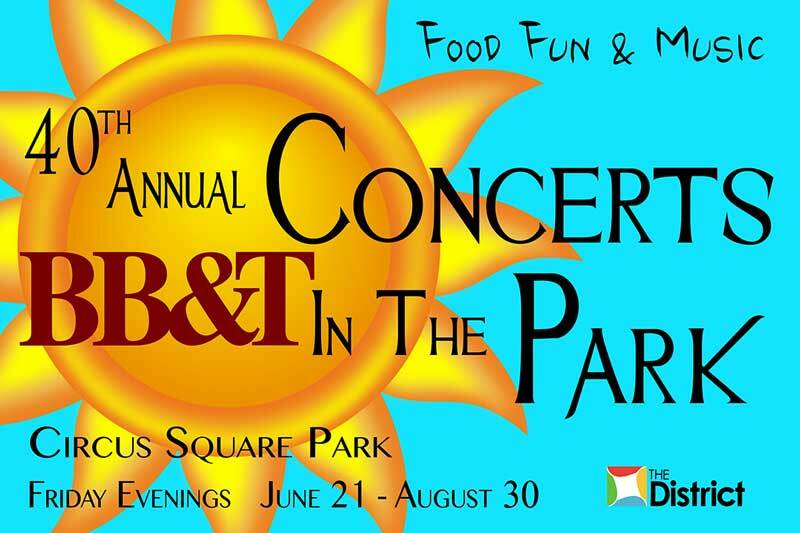 BB&T and the Downtown Redevelopment Authority invites Southern Kentucky and area visitors to attend the 40th annual Concerts in the Park Series coming JUNE 2019! We look forward to providing this FREE, family-friendly and open event to the public! Make plans to enjoy the sounds of summer in beautiful downtown Bowling Green. For up to date concert information, please visit our Facebook page. All shows are on Friday nights in Circus Square Park. Food and vendors begin serving at 6:00 pm, Music begins at 7:00 pm. Design the 40th Annual BB&T Concerts in the Park t-shirt front. Open to all residents in Bowling Green and Warren County. Parent or guardian approval required for Artists under the age of 16. Note: Concerts in the Park t-shirt will be white, please design accordingly. All entries are to be submitted digitally through the form below. Deadline is April 30th, 2019. Any design deemed unsuitable will not be displayed. The top 3-5 entries will be posted online for public voting. Please enter a value between 16 and 99999999. If Food, What's on Your Menu. Include Vehicle if Using Trailer. The 40th Annual BB&T Concerts in the Park season will run Friday evenings from June 21st - August 30th. All shows will be held in Circus Square Park, Bowling Green, Ky weather permitting. Vendors shall be open from 6:00 pm - 9:00 pm. This is a family event. There are a limited number of spaces. All giveaways must be approved. Fee options - Flat Rate, Percentage of Sales.